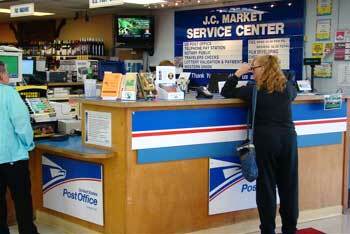 We are an official United States Contract Post Office (CPU), open between the hours of 7:00 am and 11:00 pm every day. Our mail is picked up daily by the USPS carrier Monday through Friday at 4:00 pm, Saturday 10:30 am (with the exceptions of holidays). Pre-stamped mail may be dropped off 24 hours a day. This USPS site may answer your questions, or call us. We offer money orders for sale between the hours of 7:00 am and 11:00 pm every day. From MoneyGram International, this site can be used to print forms needed for tracking, refunds or questions on their products. We are an official Oregon Lottery retailer. We offer The Oregon Lottery® scratch ticket and Lucky LinesSM, MegabucksSM, Win for LifeSM, Powerball®, Pick4SM and Keno. Drawings are posted correctly on this web site. However, posted numbers are unofficial. We offer two types of DVD movie rentals: (1) We have our own movies that we rent  new releases $3.00 for 24 hrs and older stock $2.00 for 24 hrs each or older stock "5 movies for 5 days for $5.00." 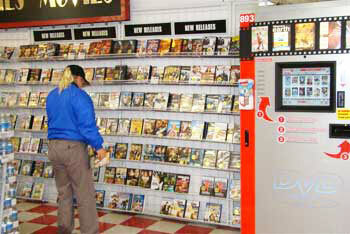 (2) We also have a DVDXpress vending machine that rents DVD movies for $1.00 per day for all stock with a credit card. The DVD express can also be accessed on the web to see what is available and reserve movies. Available between the hours of 7:00 am and 11:00 pm every day. We can send or receive money for customers within our guidelines. Please call for details. More information can be obtained from this website. Looking for a safe area to make your ATM transaction day or night? Feel free to use ours 24 hrs a day with the security of employees and surveillance video. 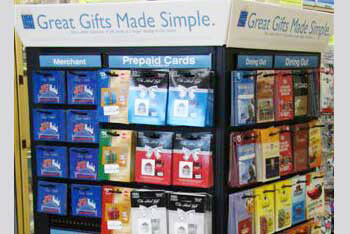 We offer a large selection of Gift Cards (too many to list and always adding new ones!) for sale for restaurants, retailers, airlines, online shopping, and many more. Feel free to call any time if you have a question on these. 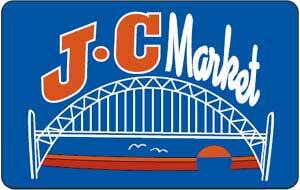 We offer our own JC Market Gift cards  these cards can be loaded with the dollar amount, reused, reloaded, no expiration date, no fees involved  see details. We also offer paper Gift Certificates if this format is preferred. We offer over 20 different kinds of cell phone cards to load your phone with the type of plan you prefer. We have domestic as well as great international plans available. We are an authorized Food stamp and Cash EBT retailer. We accept Food Stamp and Cash EBT and we can give current balance request information to you at the store. You will need to have your card with you and know your pin for the card. We have available a coin-operated photocopier 24 hrs a day; it does legal and regular size copies. We can also do photo copies in our service center on our own office equipment. We offer outgoing and incoming Fax service for our customers 24 hrs a day. Our incoming public fax number is 541-265-6642. We have dry ice available 24 hrs a day. This is a great resource for those who need to transport perishable product over a period of time and travel. Ocean fishermen, we're here to help! How to handle dry ice and rate of evaporation. We have propane tanks for BBQ's and other needs available 24 hrs a day. These can be purchased or we will exchange your empty tank for one of our full tanks. This is an Amerigas product.